Chew on this for a minute: just by glancing inside your mouth, your dentist can tell you a number of things that may be news to you and your doctor! 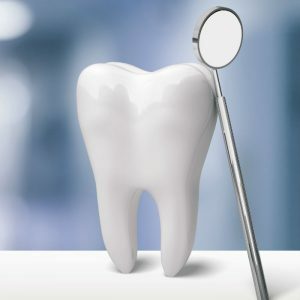 Surprising as it may sound, your oral health can speak volumes about the rest of your body, and something as simple as a routine dental checkup can benefit your health and wallet big time. From harmful habits to life-threatening diseases, find out what clues your mouth can provide about your well-being. Many connections between your mouth and larger health issues have to do with bacteria. Studies have shown that heart disease and endocarditis (an inflammation of the lining of your heart), in particular, are linked to gum disease – a bacterial infection of the mouth. Inflamed gums can also signal a vulnerable immune system, which can be due to diabetes or disorders such as Sjogren’s syndrome. Furthermore, patients who are pregnant and are diagnosed with periodontitis may be at a heightened risk for birth-related issues, as studies have shown a connection between gum disease and both premature birth and low birth weight. In addition to gum problems, other oral matters are also telling. Tooth loss, for instance, has commonly been linked with both osteoporosis and Alzheimer’s. And lesions of the throat occur often in individuals suffering from HIV or AIDS. Last but not least, a dental exam can detect both oral and throat cancer, which typically present themselves via sores or patches that don’t go away. Suffice it to say, dental checkups can prove themselves invaluable when it comes to early detection of life-threatening health conditions. If you’re currently undergoing medical treatment and/or using prescription drugs, be sure to have your dentist examine your mouth for any harmful side effects. It may not necessarily mean life or death, but some habits can cause a world of trouble–and costly mouth problems are proof of that. How you sleep, for example, has a direct impact on the health of your mouth. Constantly breathing with your mouth open can cause dry mouth, and grinding your teeth overnight is a leading cause of enamel damage. Smoking, chewing and other forms of tobacco use pose serious threats, not just to your lungs, but also to the look and health of your teeth and gums. Red flags that alert your dentist that smoking is starting to do dental damage (and possibly much worse) are the telltale yellowing of teeth, white patches along the inside lining of the mouth, persistent bad breath, and lumps that can signal oral cancer. Finally, your mouth can offer clues about the safety and healthfulness of your diet. Severe tooth erosion and swelling of the throat and salivary glands are typical problems seen in patients with eating disorders, due to constant vomiting. Tooth decay and sensitivity can also come with excessive acid in your diet, and many times, signs and symptoms of gastroesophageal reflux disease (“GERD” or simply, “acid reflux”) become apparent to your dentist even before your doctor. Even your breath can be telling of certain food choices, such as garlic or onions, which have long been known to cause halitosis. 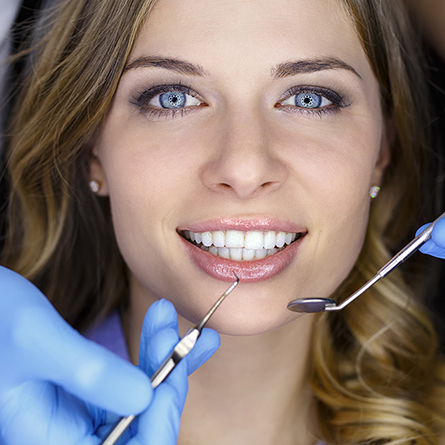 Given everything a brief dental exam can uncover, there’s no denying the benefits of a routine checkup. More often than not, tooth, gum and other oral problems may simply be due to poor hygiene, but it’s better to be safe than sorry. 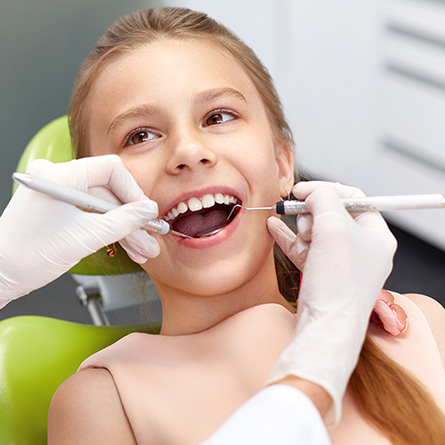 Remain diligent about seeing your dentist regularly, and don’t hesitate to schedule a checkup in between your typical visits if you notice anything amiss. Previous post Baby Teeth and Bad Hygiene: What’s There to Lose? 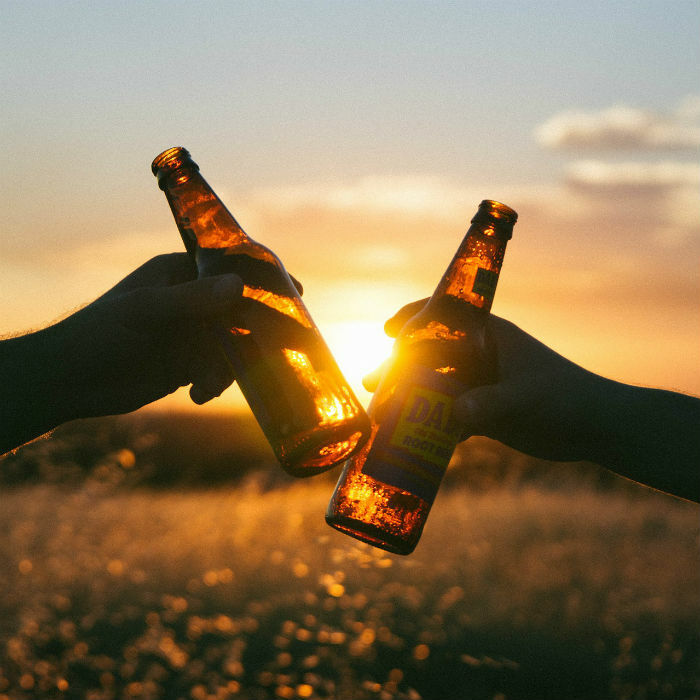 Next post Alcohol Is Everywhere: Are Hidden Sources Hurting Your Teeth?